Concierge Services, Capitol Concierge, Inc.
Capitol Concierge has been providing top-notch professional services to busy individuals and leading businesses since the company opened for business in 1987. As the nation's largest provider of concierge services for commercial office properties, upscale apartments and condominiums, shopping malls, private corporations and individuals, we credit our passion for SERVICE and our unfailing commitment to customer satisfaction for the company's continued growth and success. 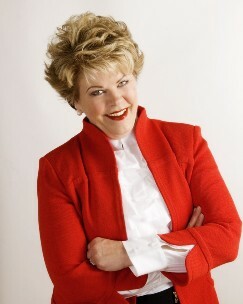 Lynda Ellis is the Owner, President & CEO of Washington DC-based Capitol Concierge. Under Lynda's leadership, the Capitol Concierge brand has become synonymous with best-in-class SERVICE and top-notch professionalism. Born and raised in Las Vegas, NV, Lynda developed a passion for customer service at an early age. A graduate of St. Mary�s University in San Antonia, TX, Lynda spent more than 25 years in Instructional Technology, selling and marketing computer-based education and training products, earning numerous awards for her performance and leadership. In 1998 Lynda joined Capitol Concierge, eventually purchasing the company in 2007. Since then, she has been guiding the enterprise with her passion for service and trademark enthusiasm. Lynda and Capitol Concierge�s recent accomplishments include being named an Enterprising Women Magazine 2013 Enterprising Women of the Year; Smart CEO�s 2013 Future 50 Award and 2012 Brava! Business Hall of Fame; winning the prestigious 2012 National Capital Business Ethics Award; Inc. 5000 list for three years; and the Apartment and Office Building Association "Outstanding Leadership Award" for seven consecutive years. Lynda was also named "Outstanding Young Woman in America" in 1982 and awarded the "Presidential Appreciation Award" by the American Red Cross. At Capitol Concierge, SERVICE extends beyond the company�s valued clients to numerous good causes and those less fortunate in our communities. Setting the standard, Lynda�s extensive community service and civic involvement includes Second Chance, FBI Citizens Academy Alumni Association, AOBA, Network for Teaching Entrepreneurship, American Red Cross, Prince George�s Scholarship Program, Duckworth School, Entrepreneur Organization and St. James� Vestry and Thrift Shop Board. As one of the first 200 pledge companies to the national Billion + Change Campaign, Capitol Concierge has committed to provide 4,000 hours of pro bono leadership skills service to nonprofits in our community in 2013. CEOCFO: Ms. Ellis, what was the vision when the company started many years ago and what do you do today? Ms. Ellis: Capitol Concierge founder Mary Naylor recognized that there were concierges in hotel lobbies here in the D.C. area, which is the nation�s capital, but there were no concierges in commercial office properties, so she invented this industry. She is an extraordinarily creative marketing person. In 1998 Mary started a new company, VIP Desk, and needed someone to run Capitol Concierge. Capitol She and I met, understood one another immediately and became great partners. We had opportunities to sell the company three times in the next several years. We got to the alter twice but never said the vows. In July 2007 I went to our board and asked, �Why don�t I buy it?� They agreed and on November 30, 2007 I became the sole owner of Capitol Concierge. When I came to Capitol we had one division: commercial office properties. We had one shopping mall at the time but it was also considered to be commercial. I saw opportunity there, so we have since created four divisions. We now have a commercial office property division, a residential property division (high-end apartments and condominiums) and a retail division, which includes our large shopping mall business. Our fourth division includes private corporations such as hospitals and technology corporations. In 2007, we had 212 employees and we now have almost 400. We were in three states: D.C., Maryland and Virginia. In 2011, we opened an office in Birmingham Alabama with Alabama�s largest mall. We also opened In Boston at the Natick Mall, Boston�s largest mall, and then in Connecticut at Buckland Hills Mall. Last year we were proud to win the trust and confidence of Google and are now their concierge service. We opened an office at Google�s headquarters in Mountain View California and will expand into other Google offices throughout the U.S. and then overseas in the first quarter of next year. CEOCFO: As far as the other places, such as California, is that a particular plan? Ms. Ellis: Yes and no. We pleased to be invited to compete to be one of General Growth Properties� preferred national providers and were selected for a national contract. These are the malls that selected Capitol Concierge to provide their guest services. Our goals include expanding with General Growth Properties as they are great partners in providing a great service experience for their guests. We will also expand into other divisions beyond retail. For example, we are talking with a company now to open up our residential division in Boston. We will expand to residential and commercial in each of those areas. Wherever we open one division, we will open the other three; that is our growth strategy. We will also grow by acquisition of other companies and additional properties. For example, we are looking for smaller companies which will complement us and result in a larger footprint for Capitol. As a result of our acquisitions, in 2010 when everybody was laying off staff, we grew by 44%. I am very proud that during these recent difficult economic times we did not lay off or furlough anyone. We did not ask anybody to take time off without pay. Instead we grew through new business and added jobs. That means a great deal to me, that we are able to create that growth for people who want jobs. CEOCFO: How do you choose and retain excellent concierges? Ms. Ellis: That is our number one challenge, even in today�s economy. We interview about thirty people to find one person. That is both expensive and time consuming, but we have learned to hire the right person and to provide training and support to retain the right person. Many of our employees come on part-time to get their foot in the door, because they know working at Capitol Concierge looks very good on their resume. We have very strict standards to which we adhere. We demand 100%, 100% of the time. We retain people by offering great benefits. We offer comprehensive health, medical, eye, dental, as well as paid vacations and professional training. I also believe we are a fun company to work for -- if you do your job. In the new hire training, I always tell them that I used to think you needed a passion for service to be a great concierge, but I now know that was not right. What you need is a passion to serve: a burning desire to make someone�s day better � even when your day is not going well. You have to be able to put a smile on your face when you have a backache or a headache. I am Irish and I remember growing up my dad would say, �Put a smile on that face, nobody cares!� It was a great lesson to understand that when you are in front of a customer and you are working, it is about them, not about you. It does not matter what is going on in your life, it matters about what you are doing for your client. It is a crucial concept that we stress in our training and continue to stress consistently. Our vice president, who came on board a few years ago, created a new program called the CEO Circle. The CEO Circle is made up of individuals nominated by their district managers for exemplary service each quarter. (We currently have four districts and will expand soon to five.) Our vice president and I host the nominees at dinner in a nice restaurant, where we congratulate them and invite them to share their good ideas, their goals, and discuss the company�s future together. We give them a certificate and a leather portfolio that tells everyone they are an honored CEO Circle member. At our annual meeting each Fall, they are recognized on stage to model for other employees that this is a worthy goal for all. The annual meeting is an opportunity for our employees to get together. There are 16 of us in the corporate office and the rest of the hundreds of employees are out working in their individual buildings in various locations. We present team and individual awards that recognize outstanding service and commitment to our clients and to the company. Our top award is called the Evelyn Morello Award, named for a very special employee who passed away. Evelyn was a very strong employee, who had previously been director of sales for Hyatt International. She secured a contract with the White House, flew on Air Force One with Ronald Reagan, then retired from all of that and became a concierge manager for us. She was the epitome of time management and customer service, as well as understanding the client and being proactive. When she passed away, I created that award to honor her, but also to show our team this is what exemplary service looks like and means. The Bob Donavon Award, named after a former client, recognizes the team spirit and exemplary service by a team in our residential and/or retail divisions. We are proud to have employees celebrating their tenth and fifteenth anniversaries with us this year. We have several employees with more than fifteen years of service, and two are celebrating their eighteenth year. We look for people who want to be a concierge, who have a passion to make someone else�s day better. We cannot train that into you, you have to bring it with you. CEOCFO: What have been some of the challenges as you have expanded your geographical reach? Ms. Ellis: Most recently with Google, the company is leapfrogging in its growth right now. There are certain things Google wants us to provide to Googlers, which is how they refer to themselves and rightfully so; they have a great culture and way of doing things for their employees. We had to quickly bring ourselves up to speed on such services as ticketing, for example. In December, we sold 5,500 movie tickets to Googlers. We are used to selling a few hundred so that was stepping up our game quickly. At the same time we have had a huge increase in paperwork, applying for licenses to do business in California and New York and getting our name trademarked, including internationally. Expanding globally was in our five to ten-year plan, not our 12-month plan. This meant we had to confront some big challenges and ask ourselves whether we were ready to do this. It is an incredible opportunity but means really stepping up our game. And while we are taking care of that part of the business, we also have to take care of our core business. We have trained our clients to feel as if they are our only client. That is the kind of response time our clients are used to and we are committed to maintaining that standard. This has been a challenge to be stretched in terms of doing all the new things we need to do while also paying careful attention to our current client base. I recently hired a business development person and that has made a huge difference, to have someone else who can look for new business and take care of new business while I am doing all the other things on my plate. We also have to ensure the right amount of staff based on what our contracts will allow. We are healthy and profitable and we are thrilled about that, but we have to make sure that we manage our growth very carefully. I review this and work on it every day. CEOCFO: What are some of the surprising services you provide? Mr. Ellis: Here is a cute example: Our major clients in commercial office properties are property management companies, and many are self managed. One of these owners had a friend with a big birthday coming up in New York. Our client couldn�t make it to the party, so he asked us to have our concierge present a live goat to his buddy with a big red ribbon around its neck and a tag that said �Happy birthday, you old goat!� The concierge needed to first find a goat that we could buy, and then we had to find a way to transport it, take care of it, and then present it and take pictures. We had to make sure the goat was in a happy-ever-after home and then return to DC. That was one of the more fun requests that we have had and it all went off beautifully. Once someone wanted to propose to their fianc�e in another country, so we arranged all of that in a very special restaurant where it is hard to get reservations, and everything had to be kept secret. It all went off without a hitch. We do a lot of that kind of thing. We use to talk daily to a Congressman�s birds. We go in at noon and talk to the bird every day, as requested. For some reason, the bird did not like the first person we sent, so we had to switch the personnel. We pick up children and take them to their dental or doctor�s appointments for busy executives. Many people are surprised at that, and that we also clean homes every day. We do whatever people need because we are an amenity for people who either work in the commercial office property, who live in the condominium or who work at the company, whether Google or a hospital. At the shopping malls, we provide any service they need. I am often asked what we will not do. There is nothing we cannot get done for you as long as it is legal and ethical. I say that because we have in fact been asked to do many unusual things! CEOCFO: What is going to happen with Google? Mr. Ellis: We are going to expand to other countries and provide all personal services for the Googlers. Google is all about taking care of their employees and how they can make their day better. They are a company that is focused on doing that and we will help them achieve this with our usual commitment to 100% service, 100% of the time. CEOCFO: Would you tell us about the Business Ethics Award? Mr. Ellis: I have to say that winning the 2012 National Capital Business Ethics Award is the award we are most proud of. This award sums up who we are as a company and as a team. It is all about doing what you say you are going to do, even when no one is looking. With 99.5% of our employees wokring remotely, we have to make sure that people are holding themselves accountable to the strict ethical standards that we set. Two years ago we were recognized as a finalist and did not win. We were re-nominated last year and we were fortunate enough to be recognized as the winner. It is an intensive, year-long process, and a very deep look into your company. The judges speak to current and former employees as well as current and former vendors, contractors, clients, executive team and some of the people in your corporate office. The award is the stamp of approval that says our peers and other experts and people looking at us day in and day out have seen that we truly are an ethical company and that throughout our organization, we are viewed and behave as an ethical company. This award is so dear to my heart; nothing is more important to me. I proudly accepted it on behalf of our entire team, because it was they who won it and they who deserve the recognition for their passion and commitment to exemplary service every day.